Sumera Waheed of @demureartistry is such a talent! I feel so blessed to work with her and other Motives® influencers. Our Motives® Glam Squad is an inspiration to me. They always get creative with our products. It's amazing. 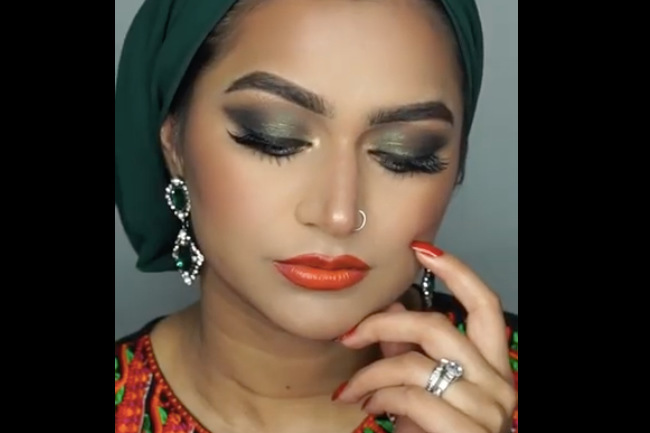 Sumera used the In the Mix palette to create this green smokey eye. Would you try out this look for New Year's? Let me know in the comments or tweet me @lorenridinger. It's pretty fabulous. For the products to recreate this look, read on!